The problem with most of the products is that they put the guilt of not being able to be perfect in the first few hours or days on you. You get an impression that the things you are trying to achieve are Utopian in nature or you do not have it in you to address these needs and you drop-off within no time. I found three products, which empathized with the users and their problems, taking the guilt away from the users. Any.Do for Procrastination: Things we procrastinate are things which we would want to do it in near term future but like the proverbial golden deer, we never seem to catch-up. Perhaps you want to take a dental checkup in the near future and want to take a trek to the Himalayas some day. What I found really good about AnyDo is it allows you to categorize tasks you want to do into “Someday” and “Upcoming” apart from the usual “Today” and “Tomorrow”. That’s a nice shift from “To-do” list to “any do” list. 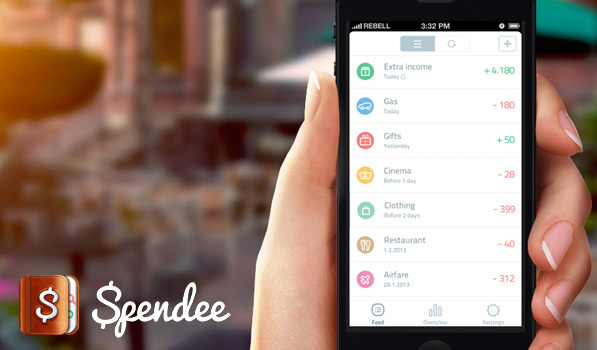 Spendee to manage expenses: Most often, although we spend, we have serious problems managing expenses because we struggle to do things seemingly simple – like categorizing an expense and recording the expense as it happens. Perhaps we need an AnyDo to ask us to fill Spendee. Also, most people have 95% of the transactions which are expenses, so most transactions can be categorized as expenses by default. Spendee does most of the things right – makes recording of expenses a pain-free process interaction-wise by not asking you too many things to fill in – it is so easy that you can fill-in a transaction in the same time the cashier swipes your credit card. Stress management by Headspace: The stress management programs usually are elaborate time-wise and most often repeat ad-nauseam to get your mind under your control. Most of us cannot start bringing the mind that has been wandering off for years now to control and assume that it is beyond control. 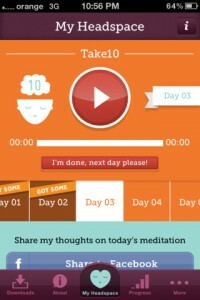 The mobile app Headspace has taken a “Lean” approach to the whole idea of meditation. The first course is just for 10 days and for just 10 minutes each day. The beauty of the course is that, the initial days at the end of the day’s 10-minute session the instructor makes it clear that if your mind has wandered off, it is fine and normal – so much reassuring to hear. The step-up from one day to the next is very smooth. These three services/apps have done something that takes them to the next level: taking the guilt out of the user. There is emotion beyond the design and function of any product; sometimes it could be that new technologies enables you to satisfy that emotional need quicker – but there is always an unmet need. One idea is “take the guilt away from the users” – don’t make them feel like they are dumb. This entry was posted in Product Management, User Experience on January 29, 2014 by Vivek Vijayan.